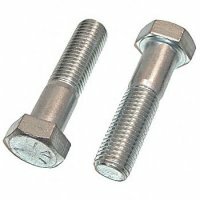 Hex head bolts, commonly called hex head cap screws, are bolts with a hexagonal or six sided head. A hex cap screw is actually manufactured with tighter tolerances and can be used anywhere a hex bolt is used. A common feature on a hex cap screw is a washer surface directly under the head which creates a better seal.